This is the season filled with special holidays for Pagans. Besides Sabbats, special Moon celebrations and feast days, this Saturday some will be experiencing what has become a most sacred day… dawn on the opening of deer season in Wisconsin. For Pagan hunters, this is both a time of excitement and a spiritual marking of the wheel of the year. It is a time of purification and blessing, prayer and thanks giving. I interviewed three Pagan hunters, and also share my own experience as a hunter. On the surface the main stream culture of the hunt is a merchandising boom catering to ego based dreams of prowess fulfilled, and a wall trophy to prove it. For Pagans, it is a special time of connection to one’s self, family, nature and its cycles. Dennis lives in Madison, WI. and has hunted in permitted state parks and preserves, but this year will hunt in Vernon county in SW Wisconsin. 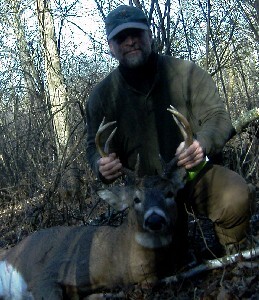 This management unit requires a doe harvested before a buck may be taken, but he has purposefully harvested more does than bucks over the years. Dennis knows herd control is a serious issue, and, “There are just too many people that are out there just for a big set of horns!”. Not a single one of us has to catch a trout to eat. Nor, for that matter, do those of us who hunt big animals like moose or elk and feed our families for a year have to kill them to survive. We’re making choices – more spiritual than economic – about grounding our souls in landscapes through participation, about becoming participatory citizens of a home place through eating what the landscape produces. The wading, the casting, the stalking, the picking, the plowing, are the ceremonial means to procure nature’s Eucharist. Jude has hunted by bow, shotgun, muzzle loader, and rife. 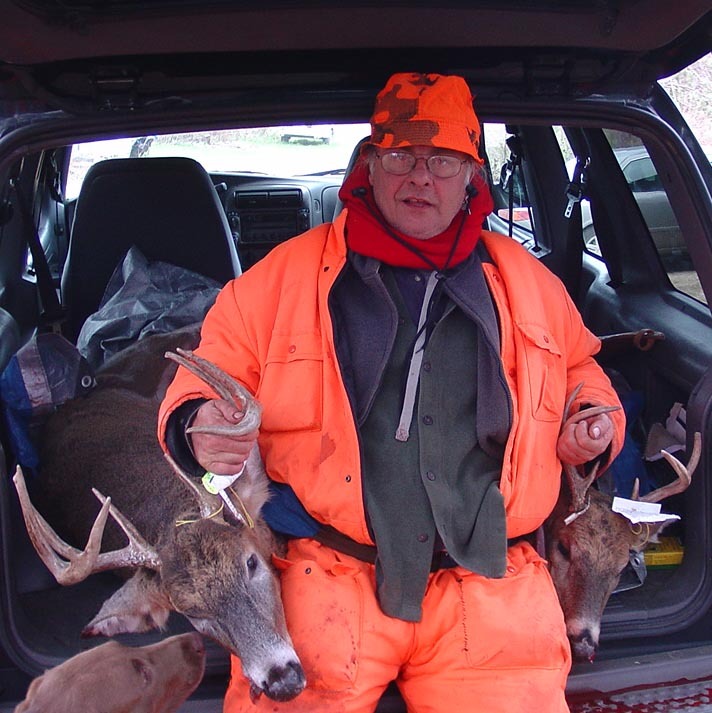 In deer rich Wisconsin, he has literally hunted from April through New Years Eve, as herd control has become a necessity for farmers and motorist safety alike. After a successful hunt Jude will, “Thank the deer, and promise to tell its ‘story’ to others.” He spreads the remains of field dressing the deer, and returns the waste of butchering to the land to benefit the scavengers and wildlife from where it came. He takes the hunter’s responsibility extremely seriously, and is a fanatic in preparation, practice, and skill development. Most hunters do not kill every time we go hunting, but we are re-created as ‘original’ humans when we hunt. We become , if only for for a brief time, members of a land community from which we are becoming increasingly estranged. Hunters are choosing to confront the illusion, where freezers and grocery stores offer solace, that life sustains itself without the taking of other life. Robert, like all the Pagan hunters I talked to, spends a significant amount of time checking and cleaning equipment, preparing personally, and purifying everything in advance. This he said was. “to become one with nature, once I get out there.” Robert honors any animal he takes silently in his own way. He has concerns his hunting partners might not understand any outward ceremony. Robert has a wetland on his property with a lot of wildlife that he enjoys year around with his family, and that he doesn’t hunt on. For most Pagan hunters, hunting is a deeply personal, individual, and often solitary experience. Common to all the Pagan hunters I talked to was the idea of sharing this bounty of the woods with others. Whether with family, friends,or community, the tribal nature of sharing the fruits of the hunt is deeply embedded in the human psyche. All felt their experiences while hunting were not coincidences, or solely the result of their skill as hunters. Some spiritual presence was felt. They felt the animals in some way ‘gave’ themselves to them, in offering, and for their family’s sustenance. None practiced the often used technique of large hunter groups ‘driving’ deer from the woods at full run to standing shooters. Pagan hunters feel the chances of wounding a magnificent animal using this method was too risky and disrespectful. They feel they are rewarded for honoring the sacred nature of the deer hunt with full freezers. For me the skills needed to hunt successfully create an intimate connection with nature. I have learned more about myself from hunting than from any other life experience. You learn the woods and the habits of many of its creatures, the way of deer, and really feel the marking of the seasons most Pagans just talk of. I have had a woodpecker land on my hat, watched mink searching for rodents, even a rare bobcat slink by. As we evolve into an ever more urbanized society, this primal gift of food, connection, and revelations direct from nature is a blessing most Pagans never know. Pagan hunters find that sense of union expressed by the Lakota phrase, mitakuye oyasin, which means “we are all related”. Like many things we seek so desperately, often the answers are there just waiting for us to find. Pagan hunters find the answers within nature, out in the woods hunting. Now that story is an example of a real Pagan press. Great story and Good Job! I’m not a hunter, but I’m a Pagan homesteader, who raises a small flock of chickens for eggs and meat. We butcher our extra roosters once a year, around now actualy, and we send them off with our gratitude, and blessings for a new life. The blood we pour over our grapes for fertilizer, and the entrals a burried in the fruit tree orchard. No part is wasted. It’s not easy to kill the chickens, but I know that when I eat them, they have lived every day of their life in the sun, chasing down bugs, breeding with the hens exactly the way nature intended. I am a Pagan hunter… and although I think this article is a welcome change from the way some Pagans try to rewrite hunting Gods and Spirits as being of anything-but-hunting, I think the conclusions here are suspect. The hunt isn’t about individualism. It’s always been a community effort, and it continues to be here in Wisconsin. That includes drives, which they seem to think are against their spiritual beliefs but which were definitely used by ancient Pagans as a strategy because, like I said, it’s a community effort. I think the emphasis on this solo hunter meme is based more on the development of modern Paganism–which has been sort of rewritten to accommodate the fact that there aren’t that many of us–and less on actual ancient spiritual beliefs. Plus, some of it smacks me as just a parody of stereotypical native American hunting. I don’t think the article says the way four hunters hunt is the only way, and I agree that hunting is a community effort. Deer drives are generally very productive community efforts; I just don’t have the family connections here to make more than one or two-person drives (recently, a four-person drive). The eating is definitely communal: I give venison away, I share it with friends — nothing says “community” like breaking bread together — and when we are successful, process the meat with hunting partners, not just steaks and burger, but making sausage, brats and landjaeger together. I did participate in a few drives when I lived in southern states and yes they, as anything, can be a spiritual experience depending on how they are done. 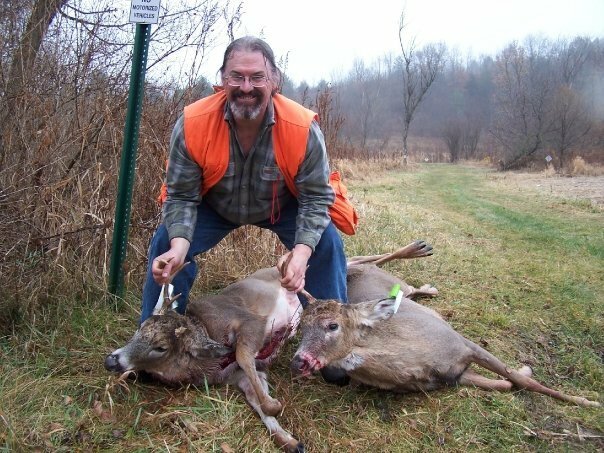 I personally don’t think it is right to fill someone else’s deer tag by shooting the deer for them, which is what some people do when they do drives and it is legal to do in WI. I don’t know whether you do this or not so please don’t think I am accusing you of doing it. Some, but not all hunting was done by the community as a whole. So yes hunting can be a community effort but since I am the only one of my family up here and my close friends don’t hunt I am left to my own devices. And yes I use the native (American) ways of respect for the land and animals. That resonates through me and through any and all of the aboriginal (ancient) societies. If you want to do as the ancients did then why not use the tools they used, pointed sticks, rocks, wooden bow and arrows and atlatls? Granted some of them are not legal weapons to use to harvest animals. Guns give people quite the advantage so some of us like to make it more personal by going it alone. Besides there were solo hunters in every ancient society. When one was off exploring or traveling you survived on your own, by your own skills and knowledge. And being able to hunt on your own was one of them. 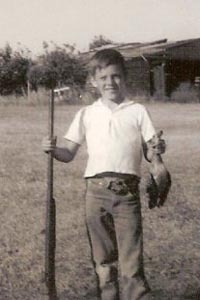 I have bow hunted for animals besides deer and hitting a running animal with an arrow is not an easy task as I found out as a child. And it usually would be considered unsportsman like and disrespectful to the animal because your chance of killing it quickly and cleanly are not that good (for the avearge hunter). So I assume you use a gun when you do drives? To some people the idea of using modern weapons when doing a drive (when done properly) almost seems unfair to the animals. I know some do get away, sometimes, but just the idea of a bunch of hunters walking through the woods hearding deer toward shooters just does not seem right. 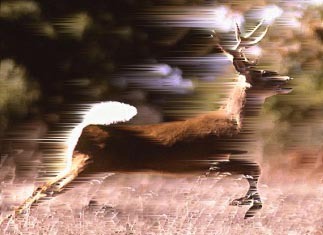 I know it is ‘tradtion’ as is using dogs to chase deer and using buckshot is ‘tradition’ in some southern states. Granted maybe I have these opinions because I do not have a bunch of people to drive deer to me. No, that’s not it, I still prefer the methods I use. -> its Me verses the Animal <- . To me that feels right. Its not a bunch of hunters verses an animal. Everyone has to figure out what works for them. I'm not trying to be direspectful just explaining why I do things the way I do them and giving my opinion. Good hunting. You are welcome to your own way of doing things, I don’t think there’s anything suspect or wrong about hunting as an individual or to treat it as an individual act or anything like that. However, it looks like you are making conclusions based on the testimonies of four Pagan hunters and filling it by saying things like “most Pagan hunters I know.” It’s not a problem with what you believe, just the fact that I disagree with typecasting Pagan hunters. Most Pagan hunters -I- know -do- participate in drives. It’s something we as humans have been doing since hunter-gatherer times because, like I said, in traditional societies hunting is a community activity, even if that community is just your immediate family. We do not do this out of lack of respect. For your information, I do hunt with communal tags. We don’t drive “just to fill a tag,” but when I go out with my party it is a matter of four people going out with four buck tags and four doe tags. If someone shoots a buck, and then shoots another buck, one of us will let them use our tag. I don’t understand why on earth you would have a problem with that. We are sharing in the harvest, so we share in the responsibilities. I host a weekly pagan radio show called Between the Worlds. This has been a very interesting essay and the replies to it also add. Let me say that as a young woman, I used to hunt in upstate NY with my grandfather and brother. I haven’t hunted in years but feel that if I needed to, I could become proficient again. At the age of 63, my hands shake when I’m tired, and I no longer have the stamina of my 10 year old self but my skills of moving in the woods, being silent for long periods of time, have never left me. if you don’t learn from your family good husbandry than yes, the native American culture is probably the most readily available one for people to use. In neolithic times, hunting in groups and driving was a necessity, both for the large animals such as mammoths, and the lithic technologies. Certainly from archaeological evidence, a favored method was driving over a cliff or trapping in a bog. 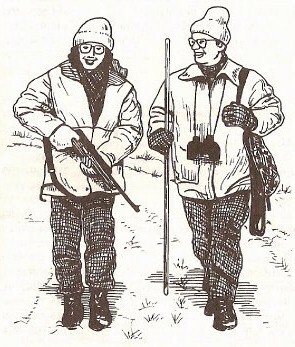 Most of the hunters I know today only go in small groups, often family and very close friends, and the large groups tend to be frowned upon as “drunken yahoos”. A close friend of mine at work has taken up bow hunting to add to his skills. He lives in southeastern Massachusetts but hunts in Maine. Massachusetts is too urban, even in western portions of the state, for hunting since much of the land is either posted or state park or reservoir land. I think how you hunt is largely determined by how, where and why you’re hunting. If you’re subsistence hunting to feed your family, clan or tribe, a drive with drivers and/or with dogs is reasonable method. Our forefathers were known to drive herds over cliffs in some instances. If that’s what you needed to do to obtain food, than that’s what you needed to do. I don’t think such a method would be warranted today. In the here and now, solo hunting or hunting with a small group is probably the order of the day. Each has is attractions and detractions. The differing skills needed for either method are valuable and certainly worth acquiring. If you’re in a locality that allows driven hunts and you have a opportunity to try it, by all means do so. An unfamiliar experience is always worth experiencing. I think the most important thing that modern Pagan hunters can do is to hunt within the letter of the law, whatever it may be in the locality where you’re hunting. Set the best example that you can and be a credit to your gods, whomever they may be. First I did not write the story so I assume your ‘most pagan hunters,,,’ comment was aimed at Nels, the editorialist. It would be interesting to hear from, have an article about, pagans that group hunt. Group hunting can be respectful but I have heard too many stories about (large) groups unloading on running deer and filling it full of holes. That is disrespectful and dangerous. Of course that could happen with a lone hunter too. By the way it sounds I would not included you in those scenarios. I agree that ‘traditional’ societies did participate in community hunting. Even the Native Americans did/do it for large animals like bison and deer. So doing things in a N.A. way can mean group hunting. I believe that it is a form of sharing the harvest. I have thought about (small) group hunting. It would make getting a deer so, so much easier. But that is not what hunting is about to me. Its not just about killing or getting meat. But I do have major issues with sharing tags. I don’t want someone else killing my deer for me. Its a personal thing. I understand taking some venison for your efforts for helping others get a deer but to get a whole deer doesn’t seem right to me. I know its legal to do but in my opinion once you’ve filled your (buck or doe) tag, I think you should not be shooting any more of that kind of deer. I grew up in a midwest state where group hunting was and still is illegal. No sharing tags. That's my upbringing. You kill your own deer. It was a matter of personal pride to fill your tag. And in my family you cleaned, processed and cooked your deer too. I prefer sharing my harvest by offering people cooked venison. That way I'm sure they will get some tasty and tender meat. On a side note; I heard that Missouri now allows the use of Atlatls during the firearms deer season. A few states allow it and I know several other states have been discussing it, including WI. I go to the WI Rules and Regulations DNR meetings every April and put in my 2 cents worth concerning what I think the regulations should be. I have pushed for atlatls to be legal to use. I would use a spear if it was legal. Deer go right under my stand and it would be an easy throw, with practice of course. I not only hunt from a stand but I also 'still hunt', a misnomer if I ever heard one. Though legal, I do not bait. Another personal choice. And that is what this is all about. Everybody draws a line somewhere. I would be interested to know how you make your hunting experience sacred/spiritual. It would probably help me see your ways clearer. Maybe I will learn something that will help me. PS: I did participate in a few small deer drives long time ago, but not the tag sharing because it wasn’t legal to do in the state I was in and for the other reasons stated above. It was an interesting experience. I follow the law but I do not do everything that I could legally do to get deer. Those are my personal choices. It makes it more challenging and to me more rewarding. Its all a matter of what works for you. Joann, if its OK with PNC where can someone hear your radio show? Is it on the web for people out of range? I killed my first deer with a bow and arrow, my second was with a muzzleloader. Then came shotugn with slugs and finally a rifle. And now I’m back to bowhunting but I still rifle and muzzleload if I have a tag(s) left. Well, a news (editorial) article should promote discussion and this one certainly has.